Kidney cancer accounts for about 2 to 3% of all cancers diagnosed in Australia each year. 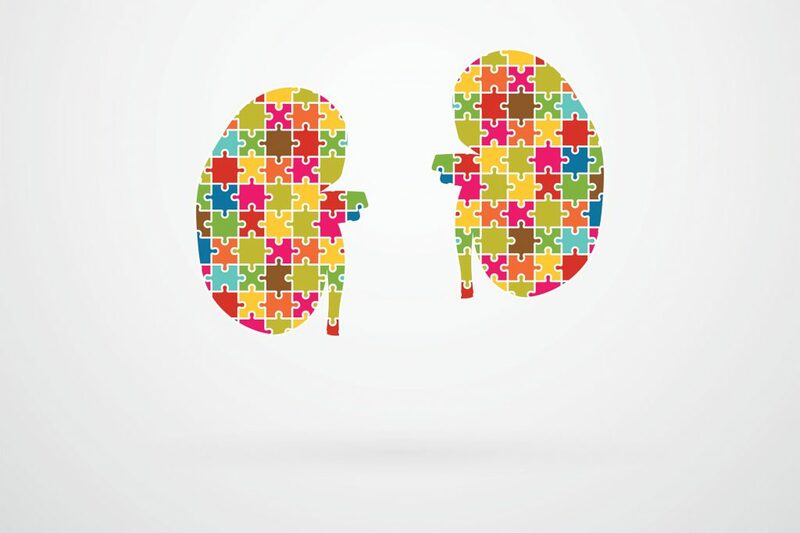 Most kidney cancers grow slowly and do not cause any symptoms until they are quite large. Most kidney cancers as detected incidentally when a scan is performed for other reasons. There are no obvious risk factors for kidney cancer, although some genetic diseases are associated with multiple and recurrent kidney tumours. Diagnosis of kidney cancer is generally confirmed by the appearance on a CT scan. Smaller tumours may may sometimes be benign. A biopsy may be required to distinguish cancerous from noncancerous growths. Noncancerous growths, such as Oncocytomas, can be monitored rather than removed. The treatment for kidney cancer is surgical removal, a radical nephrectomy. This involves the removal of the entire kidney, surrounding fatty tissue and any adjacent lymph nodes. If the tumour is small and confined to the kidney, the cure rate with surgery alone is >90%. Laparoscopic radical nephrectomy. Most kidney tumours can be removed through keyhole surgery or laparoscopy. Several small cuts are made in the front of the abdomen to allow the laparoscopic instruments to be inserted. A larger incision is made lower down in the abdomen to extract the kidney from the body. The advantage of laparoscopy is that it is associated with less bleeding less post-operative pain and a faster recovery. Open radical nephrectomy. In some cases where there is a very large tumour or where it has spread into the large blood vessels of the abdomen, an open surgical approach is necessary. Partial nephrectomy. In cases where it is technically feasible or where it is desirable to spare as much kidney tissue as possible, for example in a patient with a solitary kidney, the humour may be removed from the normal part of the kidney and the majority of left intact. This is a more technically challenging operation then radical and can be associated with greater risks of bleeding. This operation can be performed laparoscopically, often with robotic assistance. Additional treatment If the kidney cancer is confined to the kidney and has not spread, then surgery is all that is required and regular follow scans will be arranged. If there is distant spread (metastases), there may be a role for medical therapy with tyrosine kinase inhibitors (TKI’s).